My Bookish Ways interviews Kelly Braffet. MonkeyBrain interviews Adam P. Knave and DJ Kirkbride. 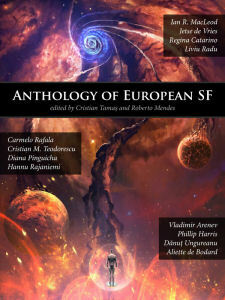 Dark Wolf’s Fantasy Reviews interviews Conrad Williams. Nightmare Magazine interviews Robert McCammon. SFWA Board Communication on Member Expulsion. Ned Beauman Wins Encore Award. Apple e-book price-fixing damages trial set for next May. Saturday August 31st: You are invited to the SF Signal 2013 WorldCon Meetup! Loncon 3 One Year To Go. September – Frebruary: How to Write and Sell Short Stories with Keith R.A. DeCandido. Deborah J. Ross on The “Middle Book” of a Trilogy. Nina Munteanu on Our Deepest Fear. Jacqueline Lichtenberg on Theme-Character Integration Part 4 – Selecting a Setting. The King of Elfland’s Second Cousin on SFWA Sends a Message of Professionalism. Jaime Lee Moyer on The Importance of Heroic Heroines. Paul Cook on Sexual Harassment at Science Conventions: Who Let the Dogs Out. Richard Kadrey on Story behind Kill City Blues. Jeff Somers on Sinister Horror Clichés. Zachary Clemente on Sequential Wednesdays #19 – A Letter To Mark Millar. Timothy C. Ward on Book Review: READY PLAYER ONE by Ernist Cline. Justin Landon on Rereading Joe Abercrombie’s First Law Trilogy – The Blade Itself: The Survivors and Questions. The Guardian on Into Darkness voted worst Star Trek film by trekkies. Nred Wallet says Pirates of the Caribbean 5 will be 61% worse than the original. Book Riot on When Authors Write Video Games. Book Riot on Ebook Loyalty Programs: Rocket Science or Smart Business? Space.com on ‘Cannibal’ Monster Galaxies Lose Appetite in Old Age. Screen Rant on The New Sci-Fi Boom: 10 Best Sci-Fi Films of The Last 5 Years. Illustrations and concept arts from movies by Josh Nizzi. Regan Wolfrom’s Speculative Fiction Writing Wroundup for 8/14/2013. Rayguns Over Texas preview: Bradley Denton. Electric Velocipede #27 Table of Contents. 23 Fantastical Steampunk LEGO Builds Designed From Scratch. Superhero Costume Chart Showing the Evolution of Wolverine. A Heartbreaking Science Fiction Film About the Uncaring Nature of the Universe. 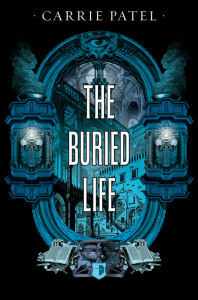 The winners of our giveaway for The Buried Life by Carrie Patel have been chosen and notified. Congratulations to: Max C. Christina S. Lindsay B. You will be receiving your prize soon! Thanks to everyone who entered.